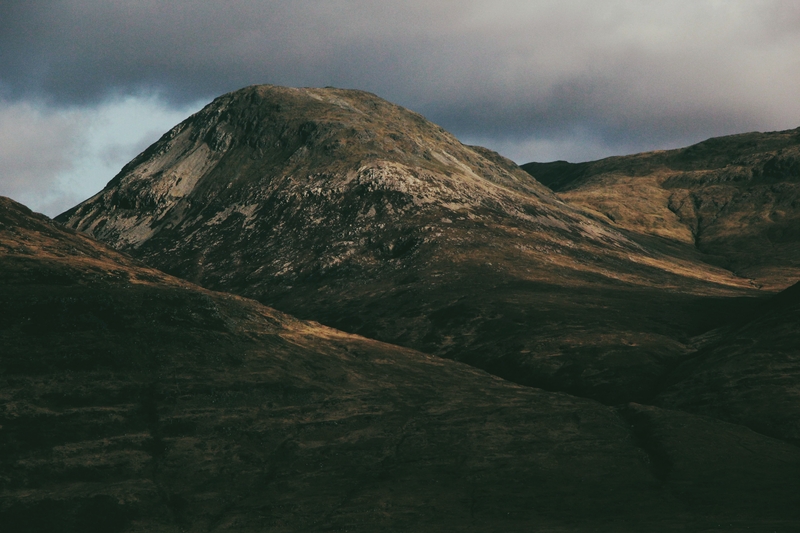 I ventured off to the Isle of Mull having not been on the Island for a few years, eager to see the startling landscape once again and variations of geology that Mull is home to. 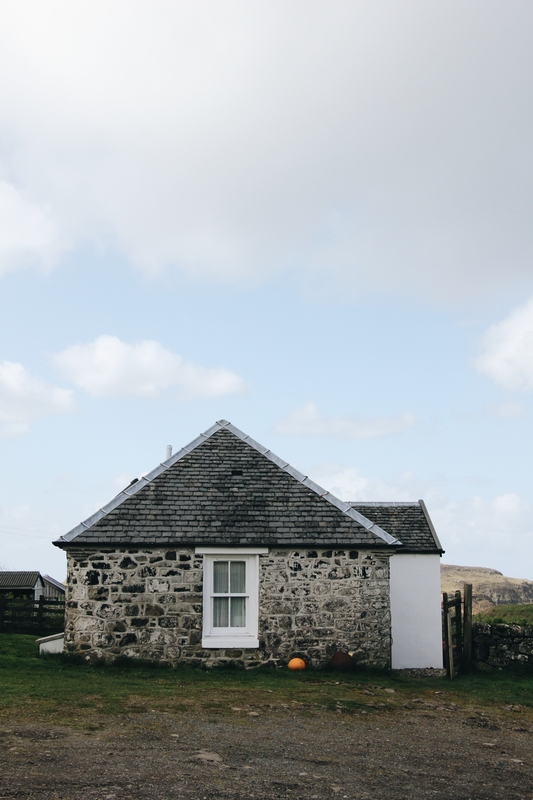 I was also even more excited to stay with Treshnish and Haunn Cottages located right on an incredible coastal farm with panoramic views over to the Isle of Coll and the Treshnish Isles. It's even close to Calgary beach with many hiking routes surrounding the area so it seemed like a perfect base for me to relax, be inspired but also to see many varied landscapes. 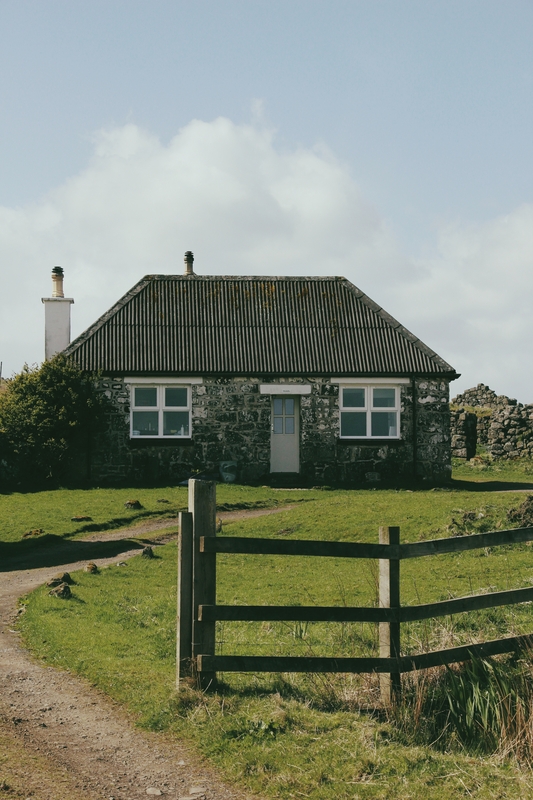 The background of the farm is a very interesting one: There are 8 cottages, 4 at Treshnish, 4 at Haunn but all with simply spectacular views to the vast expanse of sky and sea around the coastline. The property was one that intrigued me in general because of the sustainability and environmentally friendly ethos it promotes. It has been integral to the owners to preserve the quality of it being untouched. Each building has been carefully decorated to a high yet homely standard, many antiquities that fit the purpose of the location. Modern and homely, whilst preserving the natural quality of the cottages as they always were; slotted perfectly into the landscape, years’ worth of history and tales within the walls. They do not impose, they simply blend beautifully into the location, a shelter against (I'm sure some pretty wild elements) however I was fortunate enough on my stay to have 2 days of sunshine and a day of hail, high winds then sunshine again! It's always important to make the most of the location where you're staying so I set off for a big hike around the farm. I spent a good while seeing the full immensity of the farm and visiting a viking burial site, a ruined township and many many sheep all roaming around on the hillside. It also was a great opportunity to see the Haunn Cottages, equally as stunning as the other cottages but that extra bit remote! I'll let the photos do the talking for my walk around the area, it truly is an inspiring place. Thank you once again to the wonderful and inspiring Carolyn and Somerset at Treshnish, I’m looking forward to coming back already! 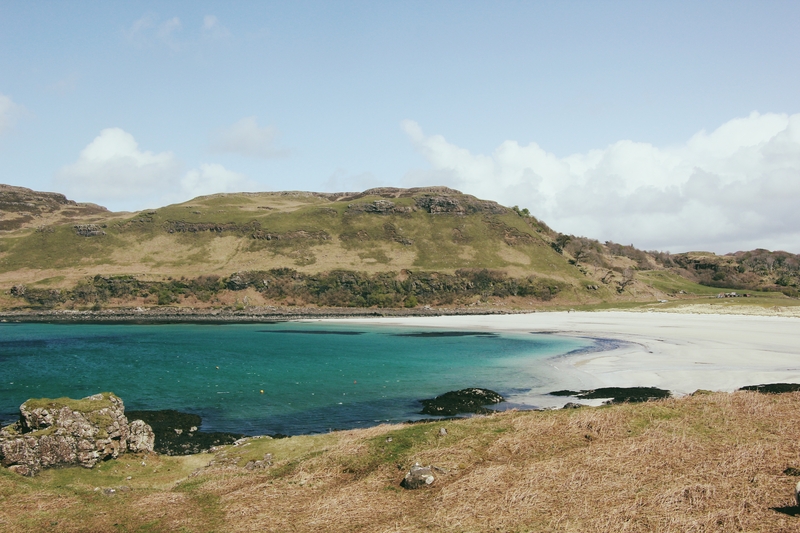 Thanks as always for reading and if you have any questions about the place or what I got up to on Mull simply comment below! Lovely shots Ellis, just back from the island so can only agree how nice it is!